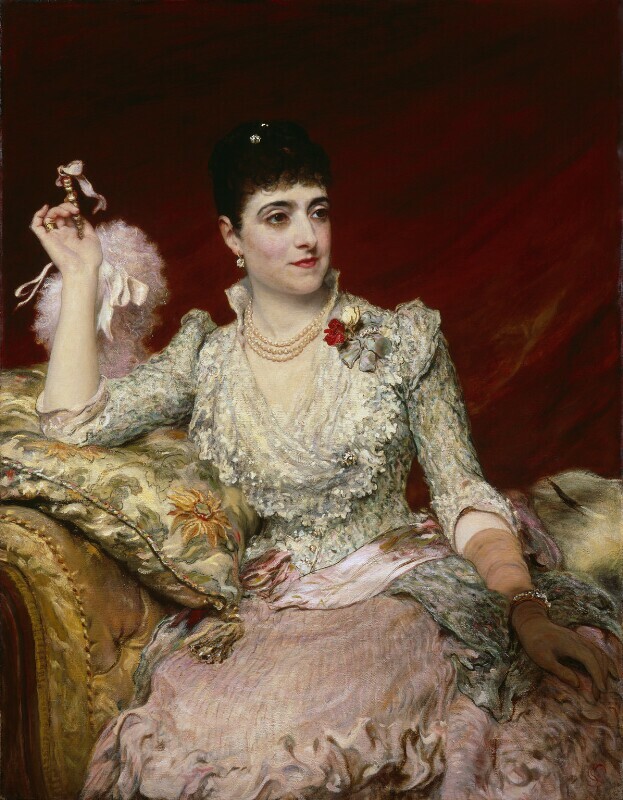 Adelina Patti (1843-1919), Singer; sister of Carlotta Patti. Sitter associated with 55 portraits. James Sant (1820-1916), Painter. Artist associated with 12 portraits, Sitter in 15 portraits. In 1872, the aritst James Sant was appointed official portrait painter to Queen Victoria. The Liberals win the election after the Irish Nationalists, including John Dillon, side with them over Home Rule, and Gladstone resumes the seat of Prime Minister. The failure of the first Home Rule Bill divides the Liberal party; those opposed to Home Rule break away to form the Liberal Unionist Party, supporting the Conservatives. This results in a Liberal loss at an emergency election called, and the Marquess of Salisbury becomes Prime Minister for the second time. The Severn Tunnel is opened, freeing up the route between London and South Wales. Pears' soap company buy the copyright to John Millais's painting Bubbles, using it in an iconic and enduringly recognisable advertisement. Millais, however, attracted strong criticism from the art community, who protested against the debasement and commercialisation of art. The American poet Emily Dickinson dies, aged 54. Dickinson wrote over 1,700 poems, which first came to light in 1890, and is recognised as one of America's most important writers. The Statue of Liberty, designed by Frederic Auguste Bartholdi, is erected on Bedloe's island. The huge copper statue, a gift from the French to the United States to commemorate the centennial of American independence, is an iconic figure of liberty, and America itself.